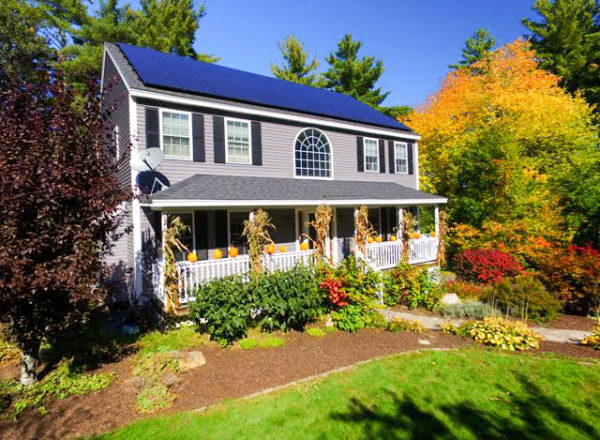 The Noltes of Pelham, NH have leveraged their 8.9 kW solar electric array to power all household loads, an electric car, and roughly 1/2 of their home’s heating. After ReVision Energy installed 33 LG solar panels on a brisk February day in 2015, Dave and Janice Nolte were excited to begin producing clean kilowatts to power their home and BMW i3, only to discover they were generating a healthy amount of clean energy beyond what was predicted. The Noltes got back in touch with ReVision and decided to transform their extra kilowatt-hours into heating and cooling, through installation of a mini-split heat pump system. With part-time use of the heat pump in heating mode, Dave reports a decline in propane costs by over $1,000 – roughly half of what he paid the previous season. The Noltes are equally pleased with the unit’s performance in cooling mode – a real treat as we enter the hotter summer months! The heat pump installed by David and Janice Nolte allowed them to decrease their propane use by around 50%! The Noltes financed their suite of systems using ReVision Energy’s “Own Your Power” solar loan, a 12-year fixed 2.99% loan which allows the homeowner to swap out a monthly bill from the power company for a monthly payment that pays for one’s own clean energy system. With their retirement arriving soon, the Noltes are looking forward to years of predictability around energy costs, a result of their solar investment. 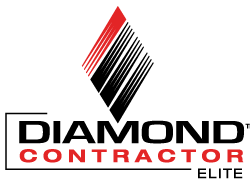 Their solar array has an operating life of around 50 years, and thanks to ReVision’s status as aMitsubishi Electric Diamond Contractor, we offer a 12-year warranty on their heat pump installation. The energy savings are now proven, and they are reliable.